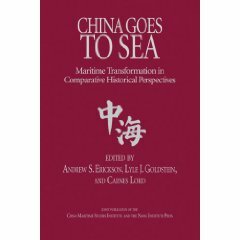 Andrew S. Erickson and Adam P. Liff, “The Limits of Growth: Economic Headwinds Inform China’s Latest Military Budget,” China Real Time Report (中国实时报), Wall Street Journal, 5 March 2016. Andrew S. Erickson, “Sweeping Change in China’s Military: Xi’s PLA Restructuring,” China Real Time Report (中国实时报), Wall Street Journal, 2 September 2015. Andrew S. Erickson and Gabe Collins, “Stock Slump Casualty: The Myth of Chinese Exceptionalism,” China Real Time Report (中国实时报), Wall Street Journal, 6 July 2015. 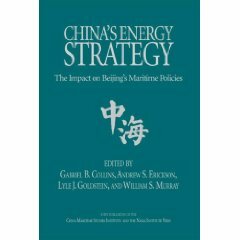 Andrew S. Erickson and Adam P. Liff, “China’s Military Spending Swells Again Despite Domestic Headwinds,” China Real Time Report (中国实时报), Wall Street Journal, 5 March 2015. 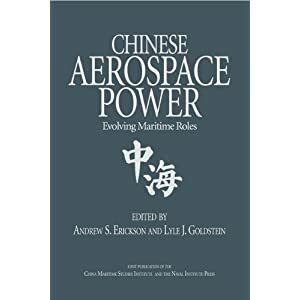 Andrew S. Erickson and Emily de La Bruyere, “Going Maverick: Lessons from China’s Buzzing of a U.S. Navy Aircraft,” China Real Time Report (中国实时报), Wall Street Journal, 25 August 2014. 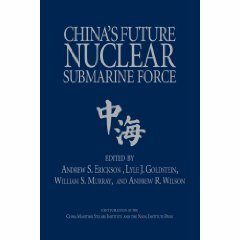 Andrew S. Erickson and Adam P. Liff, “Full Steam Ahead: China’s Ever-Increasing Military Budget,” China Real Time Report (中国实时报), Wall Street Journal, 5 March 2014. Andrew Erickson and William McCahill, “Take Heed of China’s Security Commission,” China Real Time Report (中国实时报), Wall Street Journal, 31 January 2014. Andrew S. Erickson, “Watch This Space: China’s New Air Defense Zone,” China Real Time Report (中国实时报), Wall Street Journal, 25 November 2013. Andrew S. Erickson, “Risks for U.S. in Asia with Shut-Down Soap Opera,” China Real Time Report (中国实时报), Wall Street Journal, 1 October 2013. Gabe Collins and Andrew Erickson, “How Obama and Xi Can Avoid California Dreaming,” China Real Time Report (中国实时报), Wall Street Journal, 7 June 2013. Gabe Collins and Andrew Erickson, “March: China’s Month of Mistakes,” China Real Time Report (中国实时报), Wall Street Journal, 12 April 2013.